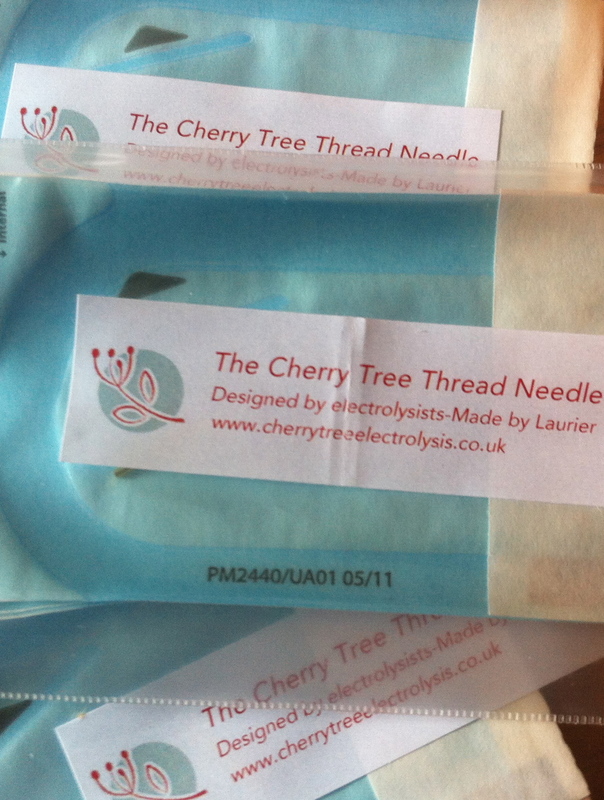 Made by Laurier Instruments; Developed by electrolysists; Only available from Cherry Tree Electrolysis! This beautiful little needle is for the treatment of TELANGIECTASIA. The aim of telangiectasia treatment is to coagulate the capillary whilst causing minimal trauma to the skin or dislodging the clot. The consequences for the skin are kept to the minimum by great technique and optimal needle choice. Laurier make telangiectasia needles to the finest point possible. They have also made a version for the slightly larger capillaries we often see – these are under trial at present. I have been using them with good results so far. The selection of the Blend mode is considered by some of the most experienced tutors and practitioners to be superior to using RF only, mainly because the heat can be lowered and the needle can slide through the skin and out again with the aid of the Galvanic current, reducing trauma and avoiding clot disturbance. The sensation is also very much preferred by recipients and crusting is rarer, in my experience. The use of an epilator with the capability to delay/specify the start and end points of either current (RF and Galvanic) further enhances the fine-tuning ability of the professional. The needle goes in with Galvanic only; the RF kicks in then the needle exits with Galvanic only again. Try the Laurier/Cherry Tree Tel needle or ‘Thread Needle’ and do an even better job for your clients.